Experience is a powerful teacher. It's the substance that gives a great vocalist the weight and gravitas to make an audience feel as much as he does. For Russ Taff, every splinter of pain and every hard-won ounce of hope surfaces each time he launches into a song. And that's what makes his new album 'Believe' - the legendary artist's very first praise and worship album - such a powerful vehicle for spreading the Gospel. Taff's first album of new music in seven years, 'Believe' falls in the middle of an especially busy season for the six-time Grammy Awards winner and multiple Dove Awards recipient as his life story hits the big screen in a new feature length documentary, Russ Taff: I Still Believe. "I knew I wanted to tell my story and share what God had done," Taff says. "But I knew that if it was going to do it, I would have to tell the whole story of growing up in a pastor's home and getting beaten. Those times are still like an anchor, but I know it's a mandate to tell your story so people will turn to God, and that has been the driving force to me. I had no idea that this record would dovetail right in with this movie. I just can't believe all of it." Produced by Phil Naish and Mark Hornsby, the 12-song album features new recordings of classic Taff oldies such as "We Will Stand" and the lead single "I Still Believe" (the song originally a hit for mainstream band The Call and in 1987 given a dazzling rendition on Russ' eponymous album). The song continues to resonate with Russ. "It meant the world to me back when I was struggling trying to find my way and I was screaming at the sky, but today it's a joyous anthem. I'm up here singing again for Jesus. I survived." Believe also features worship favourites like "Your Love Never Fails", "No Longer Slaves", "Be Still My Soul" and "Same Power". The project further includes collaborations with other Christian music icons. Amy Grant joins Taff on "Don't Try So Hard" and David Crowder lends his distinctive vocals to "I Am". "Everybody has done a praise and worship record," Taff admits, "but pastors and different people have been asking me, 'Why don't you do one?' So we just started gathering songs. I started listening to praise and worship music and there were some really good songs out there that I didn't know. I teared up in the studio recording 'Isn't The Name.' It's just beautiful. I've been doing it out on the road and people are just loving that song." 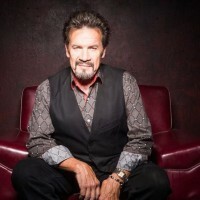 During his storied career, Taff has been inducted into the Gospel Music Association Hall Of Fame an unprecedented three times - as a soloist, as well as a member of The Imperials and the Gaither Vocal Band. He has also recorded some of the most iconic albums in Christian music, including 1985's groundbreaking 'Medals', 1989's chart-topping 'The Way Home', 1991's back to his musical roots exploration 'Under Their Influence' and 2007's 'Now More Than Ever'. From his early days with the legendary Imperials to his career as a solo artist, he's covered a lot of musical territory from Southern gospel to contemporary, but he admits 'Believe' is different from anything he's ever done. "I've been doing my stuff through the years, but to do a record that is giving glory to God, I've never done a record like that," he says. "Most of my records have been introspective, reflecting where I am and what I'm going through, but this record was straight to give God glory." 'Believe' also represents some other firsts for Taff, including the first time he's worked with acclaimed producer Phil Naish. "I've known Phil for a long time, but we'd never worked in the studio together," he says. "I like guys who are seasoned, walk their road and do what they feel they need to do. Phil has done that for years. He's won so many awards with Steven Curtis Chapman and other artists that he's done. It was great working with him. He knows how to get singers to sing and I appreciate that about him." Taff's collaboration with Amy Grant marks his second time working with the multi-Grammy winner. "We did a song together called 'Here We Are' and you can still find it online," he says. "We toured some in the '80's, but that was the only time we actually did a duet together, back when she was like 18 and I was 27 and had just left the Imperials. She really outdid herself on this new song. So much of that is her, the ideas and the harmonies. She's just awesome." "When I Hear Your Name" is another of Taff's favourite moments on the album. "That song is so poetic and beautiful," he says. "It paints a picture of God. We find him in the mountains and we find him in the sea, through the wind that blows. We find him everywhere. I sang my heart out when we did that one. It's like I see him everywhere. Everything inspires me now because I see him there." 'Believe' also includes "Be Still My Soul", a song that was born out of a major transition in Taff's life. "Tori helped me write that," he says, crediting his wife of 42 years. "I was in Tyler, Texas and I was making a decision to leave the Imperials. I was so torn and different people had told me no one has ever left a group and made it by themselves, but I knew that I was supposed to. I knew that was part of my direction from God, but I was terrified. It was before a concert and I was off by myself singing a few words and I just said, 'If God is for me, who can be against me?' And I said to myself, 'Be still my soul. Know that he is God. Stand quietly. He's the Lord. If God is for me, who could be against me?' and through the next several years I would sing that to myself just to remind that he's behind all of this." On his new album, Taff also revives one of his best-loved hits, "We Will Stand". "It's a message that is important to the Church, especially today," he says. "Politics are tearing the body of Christ apart. People are losing friends and walking away from each other because of who they voted for. We've got to rise above that, love one another and allow another person to have their own feelings and beliefs. Don't get in there and try to change them. It just doesn't work." Talking about the album Russ shares, "I want to remind people that he's God. We can trust him. We can take our cares and lay them at his feet and he will take them. We're not fighting alone. He cares about every aspect of our lives. When I'm troubled, I just get off by myself and I sing worship songs just to him. After a little bit, I start feeling better because I feel him. I'm reminded that he's there. No matter what I'm walking through, he's always there." 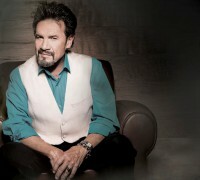 The documentary Russ Taff: I Still Believe was directed by award-winning Rick Altizer (Chonda Pierce: Laughing In The Dark), who long-time followers of Christian music will remember for recording some highly inventive albums of his own. Under Altizer's direction the film pulls no punches in depicting the trauma Russ suffered at the hands of an alcoholic father and abusive mother. Unable to overcome this shame for many years, Taff himself turned to alcohol, distancing his family, threatening his career and jeopardizing his life. "I'm a believer in looking ahead, not behind, but sometimes only time and distance can bring everything into perspective," says Russ Taff. "Forgiveness, healing, restoration - I am living proof that Jesus is still about His Father's business, one broken person at a time." Tori adds, "Vulnerability is scary, but our prayer is that the story of God's love reaching right down into the middle of our messy, imperfect lives will offer hope and courage to other struggling families." The film features appearances from Amy Grant, MercyMe's Bart Millard, Michael W Smith, Newsboys' Michael Tait, Bill Gaither and comedians Mark Lowry and Chonda Pierce, among others. The final word on the film goes to Rick Altizer, "To tell this story is an honour and a privilege and one of the most important things I have done in my career. Yet this story goes beyond Russ and Tori Taff; this is a story of the powerful, redemptive work of Jesus Christ."